Those birds really got around! Archaeological discoveries in Chile strongly suggest that chickens reached the New World about 100 years before the first Europeans. They apparently crossed the Pacific aboard outriggers piloted by Polynesian navigators. The DNA found in chicken bones in Chile resembles that of bones found in the islands of Polynesia. 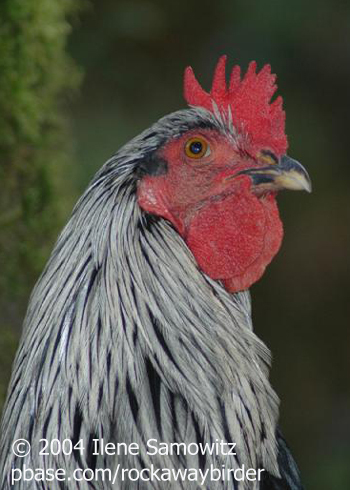 The chickens carried by Polynesian seafarers probably resembled the native junglefowl of Southeast Asia, from which modern chickens are descended. Until now, conventional wisdom has held that European explorers introduced chickens to the Americas. Archaeological discoveries in Chile, however, strongly suggest that chickens reached the New World about a hundred years before the first Europeans. The chickens did so apparently by crossing the Pacific aboard ocean-going outriggers piloted by Polynesian navigators. The DNA found in chicken bones at a Chilean site resembles the DNA in bones found in the islands of Polynesia. The American navigator, Harold Gatty, believed that the Hawaiians found their islands by following the spring migration of the Golden Plover from Tahiti to the Hawaiian chain.